One of the most cost-effective ways to “get the word out” about your new product or service is to use a press release. Basically, this is a brief announcement directed to the media (magazines, newspapers, TV, and online sites), which describes something which is newsworthy. 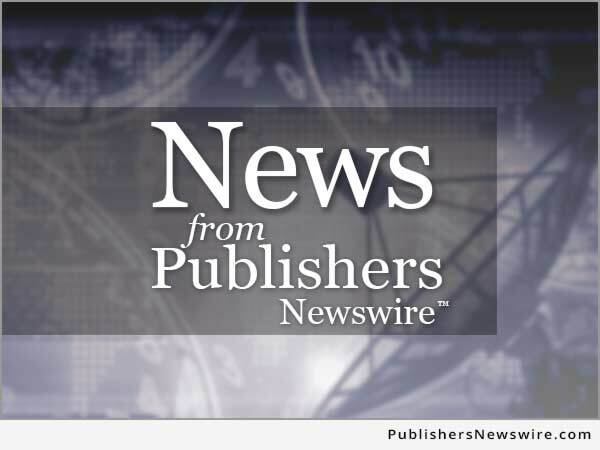 Obviously a new book is a newsworthy event, and a press release is a valuable component to letting the world know the book is available, has been published, has won an award, or anything else that would be considered news about the book and/or author. Write for brevity when possible and make every word count, but you don’t need to be obsessive about it — it’s important to remember you’re writing a news announcement and not the “great American novel.” Be matter-of-fact but also attempt to engage the reader with information that draws the interest of the person who might read it. Be aware that some major media outlets like the Los Angeles Times receive as many as 3,000 press releases per week from around the world, so your “hook” can be very important. Be aware that most news services that send releases to the media electronically have word length limits (length of the entire release in words, not characters). Words are calculated “absolutely” using the word count feature in a word processor, and not the old-fashioned line/character counting method once used for book manuscripts. The first line of a press release should be all capital letters, and will sometimes be “PRESS RELEASE” but more commonly should be “FOR IMMEDIATE RELEASE.” We recommend the latter. (Neither version is included in word count limits for the majority of wire services like Send2Press Newswire). Commonly, “PRESS RELEASE” is used for news announcements which are not being distributed on a specific day, such as those which might be included in a media kit or posted on a Web site. There are two accepted locations for the placement of contact information: either at the top of the release, or at the bottom. If you choose to place the information at top, it should be below “FOR IMMEDIATE RELEASE” and before the body of the release. If you choose to place the contact information at bottom, it should be after the body of the release. The contact information should be the name of the contact person by name, PR firm (if any) or company where contact person works; then phone number, and e-mail address. Each item should be on a separate line by itself. Although it has become common practice to put contact information at top, a brief survey of 100 journalists conducted by Send2Press Newswire in 1999 discovered that working writers preferred to see the “meat” of the release (the headline announcement) first, with contact info at bottom, when receiving news by e-mail. Most wire services such as Send2Press put the contact information at the bottom, which is the preferred placement for electronic news distribution. An exception would be a formatted release printed in a media kit, and sent by mail; or a faxed release, where it is preferable to have the contact information at the top. Next, the market segment identifier is used to identify to who your press release will be of interest. This can be in the form of listing a specific market such as “Business/E-Commerce/Fashion” or it can be directed at editors in the form of “Business Editors/High-Tech Writers.” Each method is correct, with one stating a market and the other identifying which editor at a general interest publication the release should be directed to. Generally, only one of the forms is used, however you can mix the approaches as necessary. Although not every PR firm uses an identifier line, we’ve found that it helps identify the relevance of the announcement to the receiving party, and may help it be read/used. It is recommended. Most wire services will use their own market identifiers, such as “Attention Travel Editors” and you can include them for guidance on your target audience, but they will be changed by the specific wire service to their methodology. These are not counted in “word length limits” used by all legitimate wire services. This should be one of the two most carefully crafted aspects of your release (along with the first paragraph), and must be both attention getting and describe a genuine newsworthy event. It doesn’t need to be a cure for cancer, but must clearly state what you intend to announce in the body of your release. Did you get a book published, did you sign with a literary agency, did you win an award, or launch a new product/service? Spell it out. It needs to be compelling enough for the editor reading it to not dismiss the entire release and then immediately “round file” it in the trash. The better your headline, the better your chance of an editor reading the rest of your announcement — but, again, it doesn’t have to be ground breaking, merely succinct and spell out clearly what it is you’re announcing. As a rule, your headline should be 30 words or less (or two lines on an 80-character width page). Long headlines may be chopped into a headline plus a sub-headline. Note that some online news outlets that pick up feeds from wire services may not always capture the sub-head, so be certain the sub-head is not critical to your announcement (media receiving your news announcement by e-mail will still see the sub-head). Also note that the headline and sub-headline should be title-case (first letter of words capitalized). Wire services like Send2Press and PR Newswire send releases with title-case. Online news sources that pick up wire feeds may convert headlines to all-caps, depending on their formatting standards. For printed releases being sent by fax, postal mail, or placed into a media kit, all-cap headlines are still considered acceptable. Next, we get to the “body” of the release. This is the story you want to tell and should be everything a potential editor/writer at a media outlet needs to know to decide to consider your story for possible use. Some smaller newspapers (and most online news outlets) print elements from the first paragraph in summary format, so the first paragraph should be direct and to the point. Remember that your news is not being read by your audience/customer in most cases, so you must avoid phrases like “come on down to Bob’s house of pancakes for the best deal you’ll ever get…” because it’s not an advertisement, and you must be careful to avoid the appearance of an “advertorial” as those of us in the publishing business call them. So-called “advertorials” will be dismissed immediately, unread. A press release is a news announcement, and must actually announce something considered “newsworthy.” It’s not a classified advertisement or a flier announcing your services. It is also not an “article” which is automatically published in a newspaper or magazine. The first sentence of the first paragraph of the release must contain the city in all caps and then the state abbreviation (i.e., Calif.), unless it is a major market like “NEW YORK” or “LOS ANGELES” which are unique. This method is per Associated Press (AP) formatting and is followed by wire services like Send2Press and PR Newswire. The wire service will modify this as needed, but you should always include the city and state, as this indicates where you’re located regionally. If you are in a suburb or outlying area in a major city/county, you may wish to skew this to the major city. For example, if you were located in Redondo Beach, California, you would likely put “LOS ANGELES” instead, unless there was some compelling reason to include your small city (in this example, perhaps beach-related news). You also need to include the date of the news announcement, which will always be the date the news is being distributed. You can abbreviate the month (i.e., “Jan.” in place of January). Some wire services will remove the year (since with a wire service it is self-evident which year it is), but others will include it, so you should as well. REDONDO BEACH, Calif. – Dec. 16, 2002 /Send2Press Newswire/ — Neotrope (www.neotrope.com), a leader in brand identity services, announced today that…. You don’t need to include the wire service identifier, sometimes placed as /WireName/ or (WireName), as the specific wire service or news distribution company will add their identifier to match their system formatting. If distributing the news yourself, you need not put any identifier. The first paragraph is also where you should include your website URL or stock symbol (as appropriate). In the example first paragraph above, you can see the web URL follows the company name. This is important because many online news sites that take wire service feeds will automatically convert that URL into a hyperlink when used as ( www.yoursite.xyz ). If you work for a publicly traded company, your stock symbol will automatically attach to stock price look-ups that pick-up news feeds from major wires. An important caveat about using publicly traded company stock symbols is that their usage must be “material” to the news announcement. You cannot use another company stock symbol without permission, or unless it’s material to your news (such as winning a lawsuit against that company). The news distribution company and/or wire service may delay your news release for verification if you use another firm’s stock symbol in your release. In legal matters, you may need to include a copy of a court document. Other paragraphs within the release should describe what your new product actually does (as in the case of a software product), or with a book, describe what it’s about. At least one paragraph must describe the general feature/benefit of what you are announcing beyond the headline and first paragraph. The next paragraph(s) should be quotations from a company representative or visionary who describes what he/she feels the product/service adds to the target market. This brings a human feel to the announcement, and puts a face on the story. It also provides a quotation from someone at the company that can be used in a news item. If the announcement is a partnership or merger, it is important to get quotes from someone at each company. A quote from an industry professional, or “opinion-leader,” is also valuable. The main guideline is that you must always attribute the quote to an actual person. You cannot state, “A valued customer called our product the best thing since sliced bread.” A non-assigned quote is worthless in a press release. A journalist can state “An unnamed source called it the best thing since sliced bread.” You cannot. Other ways to bolster the value of a news announcement is by using supporting research. For example, if you are announcing the launch of a new product, there is likely a reason you believe there is a need in the marketplace for your product. If you’ve done market research, this may include data and statistics related to growth in your product segment, or industry trends. You can find this kind of information online, if you don’t have it. According to a study commissioned by the California Association of Realtors (CAR), home buyers using the Internet invest significant time investigating the housing market and financing options before contacting a real estate agent. 49% think the Internet helped them better understand the purchase process, 92% use the Internet much like a screening process to narrow choices, and 78% of Internet home buyers find their real estate agent on the Internet. As you can see, this can be of great benefit in illustrating there is actually a need in the marketplace, or a value to the readers of a particular news outlet, for the news being announced in the release. Finally, it’s important to use good formatting. Clearly separate paragraphs of information to make it easy to “scan” quickly. Large overlong paragraphs should be broken into two or more chunks, where each chunk contains your information. Most newswire services now require proper “attribution” for a release, which simply means that you must include the news “source” (which is the name of the person, company, or group announcing the news) in either the headline or first paragraph. This is to clearly identify WHO is announcing the news. Taken together, the headline and first paragraph should clearly show WHO is announcing WHAT. The rest of the release won’t be read if these two elements are not clear and to the point. The final paragraph(s) should describe the company. This is the “about the company” paragraph (or “about the author” for a book release), and if there is more than one company mentioned in the release, each should have its own paragraph. Explain the history, year founded, market approach, and the like. Repeat the public stock symbol if applicable (don’t litter your release with stock symbols, however). The reason this short paragraph can be valuable is in demonstrating an expertise in the area of the news you’re announcing, a history of past accomplishments in your market segment, industry awards, or the like. This can help to establish your bona fides — the fact your company is a legitimate professional entity. With a book author, you can demonstrate you’re qualified to be writing about a particular topic, which is valuable with technical and non-fiction topics. For modern Internet-enabled companies, a last line either by itself (or last sentence of “about the company”) should state: “Company website: www.yourdomain .xyz” in the event the writer/editor chooses to pursue more information about your company without contacting you directly. Below this, you may also want to state that a product photo is available online and provide the URL directly to a sample image or your company logo (where appropriate). This is called a “true note to editors,” and is not intended for publication. Some wire services like Send2Press may also allow you to attach a photo, logo and/or video to your announcement. With the body of the release done, you would now place your contact information at the bottom (unless you place it up top). You must include a contact person by name, their company (i.e., your PR firm) if they don’t work at the same company mentioned in the release, a phone number, and e-mail address. All wire services will indicate the contact person as being from the company submitting the release (the company in the release), unless indicated otherwise. Finally, you need to close the release with three hash marks, like so “# # #”. This indicates the end of the release. If you’ve used a word processor, you should definitely use any spell-checking utilities on your release to find common spelling mistakes and/or typos. You should print your release out on a printer and read it in paper form to see how it reads, to ensure that it’s clear and to the point. You may also wish to read it out loud to yourself and listen for the flow and whether it sounds interesting. Are you actually announcing something? If it just sounds like a bunch of nonsense, go back and edit it until it sounds like you’re telling somebody an interesting story for general news, and be matter of fact for product announcements. If you intend to submit your release through a PR service like Send2Press(R) Newswire, you should first open it in a text-only software application like NotePad (on the PC), or SimpleText (on the Mac). The reason to check the release in a regular text-editor is because certain word processing applications use special characters, which do not translate to standard ASCII (or “plain text”) format. An example might be a long dash, bullet, or “curly” quotation marks. By viewing your release in a normal text editor, you can confirm that none of the characters in your release have changed to garbage characters. If you use Microsoft Office 2001 or newer, you can also “save-as” your Word document as a text-only file (.txt) and then view the formatting of the text-only version prior to submitting it for distribution. With newer versions of MS Office you can also automatically convert things like reg. trademark symbols from ® to (R). Some of the things I’ve seen companies forget to include are product pricing, ISBN number for books, UPC/EAN numbers for music/CDs; and whether the product is available through a major distributor, nationally, regionally, or only through a Web site. For book releases, it’s often wise to post a “book summary” at the end of the release comprising the name of the publisher, the author, the book title, the ISBNs and related format (such as hardcover, 250pp), and publication date. Remember that an editor/journalist needs to see the facts about your product or service, to understand the value of an event or other news announcement, and why they should consider writing about you and your news. It’s also important to not be too obsessive about your press release, as a single release will neither make nor break your company. In addition to press releases, you should be exploring other promotion methods such as advertising, direct mail, and word of mouth, among other strategies. By following the guidelines in this article, you should be able to compose and submit a proper release, which fits the criteria of what editors are looking for. This will ensure your best chance of getting the invaluable free publicity, which only the print and electronic media outlets can provide. ANNAPOLIS, MD – June 23, 2004 /Send2Press Newswire/ — Visitors to the Parthenon in Athens and to the British Museum in London, where most of the Parthenon sculptures are displayed, can now do more than “ooh” and “aah” at what they see: they can actually understand what the Greeks were telling us about themselves and their history. The newly-released book from Solving Light Books, “The Parthenon Code: Mankind’s History in Marble,” by Robert Bowie Johnson, Jr. deciphers the meaning of the sculptures of Athena’s temple, relating their messages to the early events described in Genesis. According to the book, an authentic ancient Greek artists’ code, designed to portray their religious history simply and clearly, reached its highest and most straightforward form with the sculptures of the Parthenon, the national monument of Greece. The author writes that Greek myth/art tells the same story as Genesis except from the standpoint that the serpent enlightened Adam and Eve in Eden rather than deluding them. “Greek art depicts the myth; Greek myth explains the art. Together, Greek myth/art takes us back through the Flood to a woman, a serpent, and a tree in an ancient paradise,” Mr. Johnson said. The Parthenon Code reveals that the ancient Greeks rejected the Creator God of Noah in favor of “man as the measure of all things.” Thus, the Parthenon sculptures celebrated the re-emergence of the way of Kain (Cain) after the Flood. The Greeks called Noah Nereus, the “Wet One,” and dated the beginning of their religious outlook from the latter years of his life, depicting the patriarch’s image on many vases, seventeen of which appear in the book. Article Copr. © 1999, 2004 Christopher Laird Simmons — All Rights Reserved. Christopher Simmons is a member of the Public Relations Society of America (PRSA), as well as ASCAP and the National Writers Union, and has written for over a dozen national magazines covering technology, imaging, and entertainment. He is an award winning art director, photographer, musician, and has composed theme music for two cable TV programs. He is the founder of Neotrope®, a brand identity and marketing firm, as well as Send2Press(R) Newswire (www.send2press.com). He is also the author of the forthcoming book, “ALT.PR – A Guide to Self Promotion in the Internet Age” (Neotrope Press).